How is the world going to look like in 50 years? In 50 years sustainability has hopefully become the global norm. The world now has the largest generation of young people in history. I place great hopes in their power and positive activism to shape our future. They are part of the first generation that can end poverty and the last that can avoid the worst impacts of climate change. Hopefully, even before 50 years have passed, quality education will be provided to all, gender equality will become the standard, health and well-being will be guaranteed for each human being and all the Sustainable Development Goals (SDGs) will be achieved. It has to be an effort of everybody at all leaves to leave no one behind. Are you afraid your children and grandchildren will have to live on a destroyed planet one day? Climate change is the most pressing challenge we face as human beings today. It is not slowing down, and the clock is ticking. Natural disasters are becoming more and more frequent and devastating, from historic floods, fires, storms, tsunamis and earthquakes. To protect our planet for future generations, steps must be taken to both combat and to adapt to the changing climate and with accelerated action. It is our collective responsibility as global citizens to see that our planet remains inhabitable and safe for the generations to come. There are more extreme weather events in the world and climate change seems to be speeding up. Do you think mankind has realized what is at stake? Many of us are very aware of what is at stake, especially those who are making it their life’s work to mitigate and adapt to climate change. However, despite the many who are aware and active, some are choosing to turn a blind eye. This is troubling, particularly when it comes from national leaders. When the US and President Trump pulled-out of the Paris Climate agreement, this was deeply concerning. I have been speaking out that his vision is politically short-sighted, and economically irresponsible and scientifically wrong. So, he is standing on the wrong side of history. Despite this, I am encouraged and hopeful that the whole world will be united in moving ahead with this Paris Climate Change Agreement. It is the political and moral responsibility of our political leaders to support this. You traveled to the US in 1962 with students from 42 different countries to visit the American Red Cross and meet president Kennedy. How did that influence you? Thanks to the American Red Cross, I was given the opportunity to join students from 42 countries to travel across the United States visiting Red Cross chapters. This opened my eyes to the world. During the trip, I met then President John F. Kennedy, who said to us “there are no national boundaries; there is only a question of whether we can extend a helping hand.” This strong message has been engraved in my memory ever since and I continue to try my utmost to do my share as a global citizen to help those in need. All our helping hands are needed. What are your feelings when you look back from our very different time with very different presidents? The world has changed vastly since 1962. Since then, the world has faced rising global challenges. Leaders, in recent years, have turned towards nationalism and populism, putting up walls instead of extending helping hands. This is, plainly stated, not the way forward. Leaders must have and enlist a global vision in all that they do, seeing beyond their national borders. I have not met many that have a global vision. Nelson Mandela is one of the examples that comes to mind. Many around the world were greatly influenced by his selfless struggle for human dignity, equality and freedom. He touched our lives in deeply personal ways. At the same time, no one did more in our time to advance the values and aspirations of the United Nations. You come from South Korea – and 80 percent of the people affected by natural disasters live in Asia. Who should start to accomplish the turnaround in climate politics? Natural disasters are having a major impact around the world and indeed Asia is majorly affected. China has a great responsibility in the region as well as in the world in leading the turnaround in climate politics. 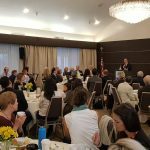 Recently, the country has shown great leadership in cleaning up the air and has contributed greatly to the Green Climate Fund. Additionally, China reached its 2020 carbon emission target three years ahead of schedule with the help of the country’s carbon trading system. China will be key to getting other countries to comply with the Paris Climate Agreement. What can individuals do to change the world? I firmly believe that individuals have the power to change the world for the better, be it at a local, regional, or global level. Women make up half the world and half the world’s population are under the age of 25; therefore, it is vital to empower these groups to act as global citizens, showing solidarity and compassion towards the challenges the world faces. 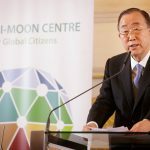 At the beginning of 2018 we founded the Ban Ki-moon Centre for Global Citizens in Vienna, Austria together with my Co-chair Former Federal President of the Republic of Austria Heinz Fischer for this exact purpose. In the world today, there are plenty of people with passion, yet not enough with compassion. This is unfortunate, so we must educate the world’s youth to understand that their actions have ripple effects on other around the world. 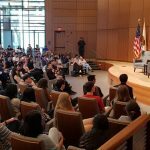 We must teach empathy alongside math and history, for without this and a global vision, we will not succeed in creating a sustainable future for us all, leaving no one behind. What is necessary to achieve a turnaround – does the planet need a new economic system to find a path towards sustainability? To achieve the turnaround, there are many steps the world needs to take. These may be at the systemic level, but also at the social and individual levels. Businesses need to understand the economic and additional benefits that come from operating more sustainably. The system may not need to change, but the structures within it and leadership can be transformative. The Global Compact has proven that companies who adapt to more sustainable practices will have a “win-win” situation as their success requires stable economies and healthy, skilled and educated workers, among other factors. And sustainable companies experience increased brand trust and investor support. 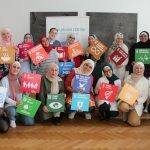 Additionally, engaging women more in the economic system will also cause a transformation of the global economy and vastly impact sustainability. When more women work, economies prosper and grow. An increase in female labour force participation and a reduction in the gap between women’s and men’s labour force participation, leads to faster economic growth. These are just a few of the ways in which the turnaround, with regards to the economy, can be achieved. You say global issues need global solutions, and that it takes responsibility and global citizenship. But isn’t growing nationalism around the world – and blaming globalisation for problems – preventing just that? Nationalism is truly the antithesis of the notion of global citizenship and it is hampering our progress towards building a sustainable planet. Indeed, global solutions are necessary. However, when world leaders and nations retreat into their own bubbles, we are not able to have the difficult discussions needed to make progress towards achieving the 2030 Agenda and meeting the challenges we face today. Therefore, multilateralism must continue to be fostered wherever possible. We need to keep these avenues of discourse open. 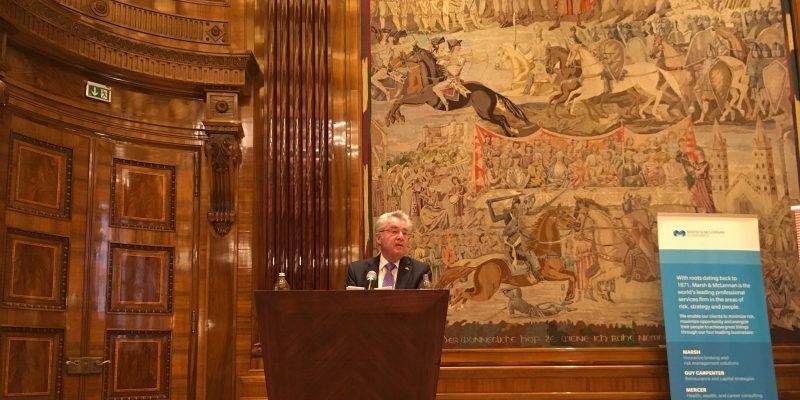 On January 28th at the presentation of the Global Risks Report in Vienna, Austria, Co-chair Heinz Fischer shared his perceptions of global risks. Ending his speech on a positive note, he highlighted the need to remain optimistic and the exceptional ability of humanity to find solutions for the most complex difficulties around the world. The Paris Agreement of 2015 is an agreement made by leaders from all around the world within the United Nations Framework Convention on Climate Change (UNFCCC) and a remarkable example of collective leadership. 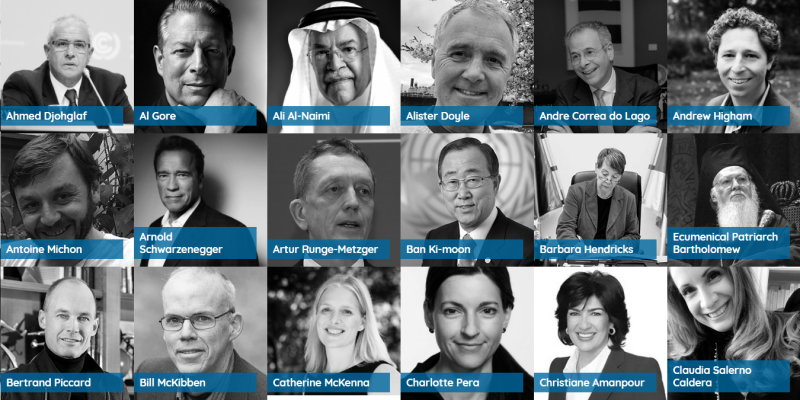 Over several years, thousands of individuals and organizations altogether have created synergy to contribute to achieving global goals, and as of June 2018, 195 UNFCCC members have signed the agreement. “The Paris Agreement provides a viable blueprint to mitigate the serious threats to our planet. 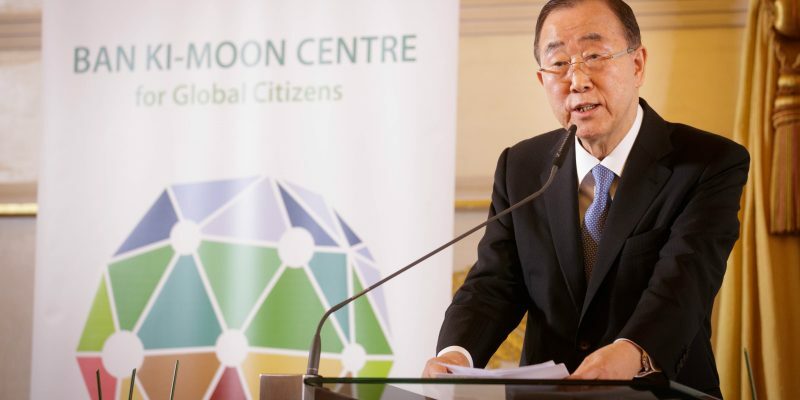 It sets clear targets to restrict rising temperatures, limit greenhouse gas emissions, and facilitate climate-resilient development and green growth,” said Ban Ki-moon. “Profiles of Paris” is a story-telling project initiated to further spread the importance of the Paris Agreement and to raise awareness on climate change. The project collected remarks of the global leaders in order to encourage collaboration in any area and to bring the world closer together to solve the global issues by reflecting the mistakes of the past and coming up with global solutions. “We must remember that our work is not done yet. Indeed, the Paris Agreement is only the starting point. We need to continue to galvanize further climate action and elevate collective efforts to implement the Paris Agreement,” said Ban.